We’ll begin where we left off, and continue with the second start of true smart watches – watches with data storage, local processing power, and arbitrary code support. In 1999, Seiko came out with their Ruputer, which supported arbitrary code, had data input and synchronization capabilities, and could hold a fair amount of information – likely a successor to their RC-20. 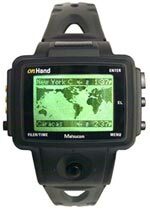 Eventually, this watch was rebranded as the Matsucom OnHand PC, for sale in the US. However, there would soon be competition for the Ruputer, from a newcomer to the smartwatch game. 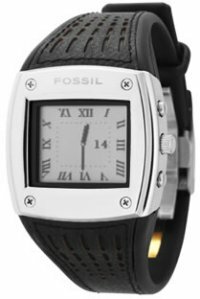 Another part of that project, however, was Fossil’s Wrist.NET watches (as well as models by Suunto, Tissot, and Swatch), which launched in 2004. These used Microsoft’s Smart Personal Objects Technology, or SPOT, which involved an FM radio subcarrier, to receive pushed information. Yes, it’s not just you, this sounds like Seiko’s Receptor (although it wasn’t just for paging, it could also receive weather and news from the “MSN Direct” service). 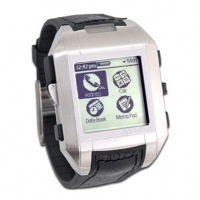 Finally, in 2005, Fossil was able to launch the Palm OS-based Wrist PDA (occasionally referred to as the Wrist PDA 2.0), under both the Fossil and Abacus brands. Unfortunately, by that point, the hardware that was revolutionary when it was first shown in 2002, and nearly released in 2003, was quite dated. Additionally, battery life was quite poor, and from personal experience, there were some durability issues. The end result was the stock being liquidated as quickly as possible. However, this was far from the end of the smart watch, or Fossil’s involvement in it. 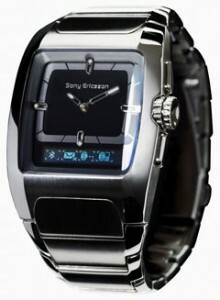 Fossil released several bluetooth watches, designed to pair to a phone for syncing status information like incoming call data, SMS, and current music, under the Abacus and Sony Ericsson brands – the MBW-100, 150, and 200. While these watches were initially only supported by Sony Ericsson phones, third party developers eventually stepped in to take care of that. In fact, there were even Chinese clones of these watches. This family of watches would eventually result in two modern smartwatches (one from Sony, one spun off from Fossil), but that’s for the next post. And speaking of next post, I’ll be finishing up my history, covering the modern era of smart watches. It’ll probably go up some time next week. Don’t forget Timex USB datalink. This amazing watch it’s the most perfect combination between computer and real wearable watch. I still have one. The only disanvantages: a little (a bit) big for some wirsts, the sporty style. Put the same chip in a Casio Databank (DB61) and I’ll buy a dozen…!!! The Casio PC~Unite was cool also.